Gautam Gambhir retired from all cricket on Tuesday, drawing the curtains on a decade and a half long career. Gambhir was one of the most successful openers in India’s Test and ODI history. Overall, in 242 matches across formats, he scored 10324 runs in international cricket at an average of 38.95 including 20 hundreds and 63 fifties. He is one of the 13 Indian batsmen to aggregate above 10000 runs in international cricket. Gambhir scored 4154 runs in Test cricket at an average of 41.95, including nine hundreds. His average away (43.61 in 24 Tests) was better than his average in India (40.73 in 34 Tests). He registered his highest score – 206 (only double ton of his career) - against Australia in Delhi in October, 2008. Gambhir scored 5238 runs in 143 ODI innings at an average of 39.68 and strike rate of 85.25, including 11 hundreds and 34 fifties. Only seven Indian batsmen have a higher average than Gambhir (min. runs 1000). Gambhir has a higher batting average than the likes of Rahul Dravid, Yuvraj Singh, Navjot Sidhu, Mohammad Azharuddin, Sehwag and Suresh Raina among others. He has the seventh-highest Average-Strike Rate Product Percentage (33.83) in India’s ODI history after Virat Kohli, MS Dhoni, Shikhar Dhawan, Rohit Sharma, Sachin Tendulkar and Sehwag (min. 50 ODIs). Apart from India, he has a great ODI record in Australia, where, in 17 matches, he recorded 748 runs at an average of 49.86 and strike rate of 82.37. This included a Man of the Match 92, opening the innings (India’s second-highest score was 44) in Adelaide in 2012. It helped India chase down Australia’s 269 with four wickets in hand and two balls to spare. New Zealand was his most fancied side in ODI cricket too. Gambhir scored 442 runs in 9 innings at an average of 73.66 against them. He also aggregated 1668 runs against Sri Lanka at an average of 50.54 in 36 innings. Six of his 11 hundreds came against this opposition – an indication of how good he was against spin getting the better of the likes of Muttiah Muralitharan and Co more often than not. One of his finest innings came in Kolkata in 2009 when his unbeaten 150 (joint-highest ODI score) helped India chase Sri Lanka’s 315 with 11 deliveries to spare and 7 wickets in hand. Of course, his most significant ODI innings came in the final of the 2011 World Cup in Mumbai, when, again after losing Sehwag and Tendulkar early, he (batting at Number 3) resurrected the innings and top-scored for India (97) putting them in a winning position chasing Sri Lanka’s 274. Overall, he scored 393 runs in 9 innings for India at an average of 43.66, including 4 fifties in the tournament. He was at his peak between 2008 and 2010. During these three years, only Dhoni (2895) scored more runs than Gambhir (2637) in the world. The southpaw averaged 46.26 and scored his runs at a strike rate of 92.04 in this period. Seven of his 11 hundreds came in these three years. His average-strike rate product was among the top-ten in the world in this time-frame. Among all the top-order batsmen (Number 1-3) who had a minimum strike rate of 80 (and batted in at least 50 innings) during his career (April 2003 to January 2013), Gambhir’s batting average of 40.44 was the seventh-highest only after Hashim Amla, Kohli, Tendulkar, Shane Watson, Dilshan and Ricky Ponting. Gambhir was also one of the finest when it came to chasing targets. His average rises to 45.48 batting second – sixth-highest for India after Kohli, Dhoni, Gavaskar, Rohit and Dhawan. Gambhir has a higher average in chases than Tendulkar (42.33) and Ganguly (39.46). Gambhir had a decent T20 record for India – in 36 T20I innings he scored 932 runs at an average of 27.41 and strike rate of 119.02. Of course, the highlight of his career was his performance in the inaugural World T20. He had the highest aggregate for India (and the second-highest overall, after Matthew Hayden) in their victorious 2007 World T20 campaign in South Africa, scoring 227 runs in 6 innings at an average of 37.83 and strike rate of 129.71. He also registered three fifties in the tournament - his 75 in just 54 deliveries in the final (highest-score of the match) against Pakistan in Johannesburg being the most celebrated innings of his T20I career. Gambhir was a great for KKR in the IPL. He aggregated 3345 runs for the IPL franchise in 121 innings at an average of 31.26 and strike rate of 124.72. No batsman has scored more runs for KKR than Gambhir. No one even comes close to his 30 fifties for KKR. He was also an astute captain leading KKR to victory in the 2012 and 2014 editions. Gambhir aggregated over 500 in three seasons – 2008, 2012 and 2016 – once for Delhi Daredevils and twice for Kolkata Knight Riders. 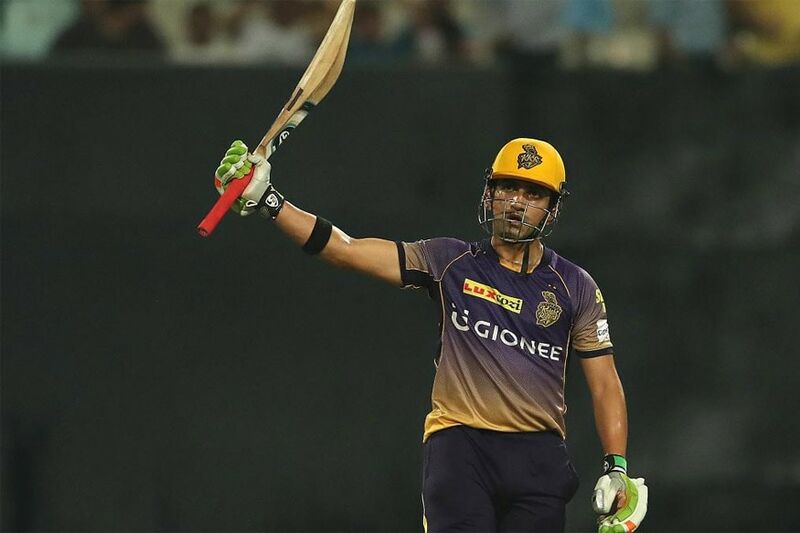 Overall, Gambhir has scored 4217 runs in 152 IPL innings – the fourth-highest in its history after Raina, Kohli and Rohit. His tally of fifty-plus scores (36) are the joint third-highest (with Raina) after David Warner and Kohli. Gambhir has an outstanding domestic record too. In 330 first-class innings, he has scored 15041 runs at an average of 49.15, including 42 hundreds. In 292 List A innings, he aggregates 10077 runs at an average of 36.91, including 21 hundreds. One of India’s finest of all-time, across formats, has called it quits on Tuesday (December 4).